CHARLOTTESVILLE, Va. — Autumn is regarded as one of the most popular seasons. The temperate weather, cozy clothing, and comfort food everyone loves are also accompanied by something else that makes the season special, namely, watching your Aunt Carol engage in an activity that many rely upon for their sole means of sustenance: agrarian labor. Now that the weather isn’t a blistering hellscape, the middle class white populations of affluent suburbs will naturally begin the yearly migration to the lands their ancestors used to till or, more accurately, lands that they forced other people’s ancestors to till. 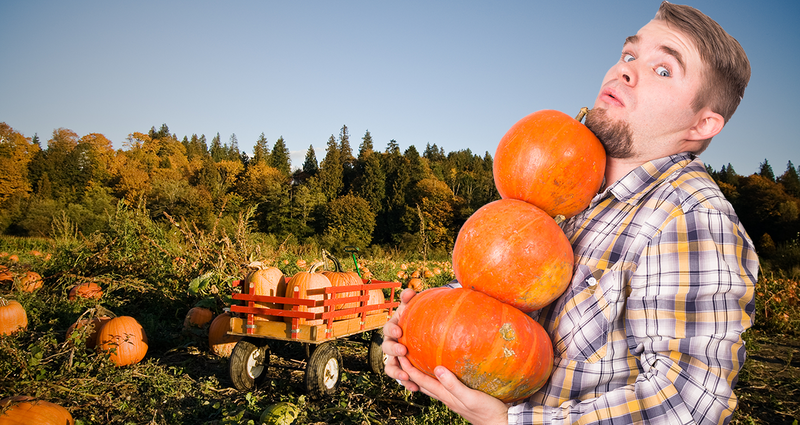 Apple picking and pumpkin picking, far from being activities engaged in to avoid an early death for mere pennies, will become the most popular leisure activity for those Virginians who live their lives out of an L.L. Bean catalogue. Before you go back to pretending to work, check out our online store.